From MANBANG comes this classic, European / American style men's wallet. Perfect for both formal and casual occasions including weddings, parties, work, etc. 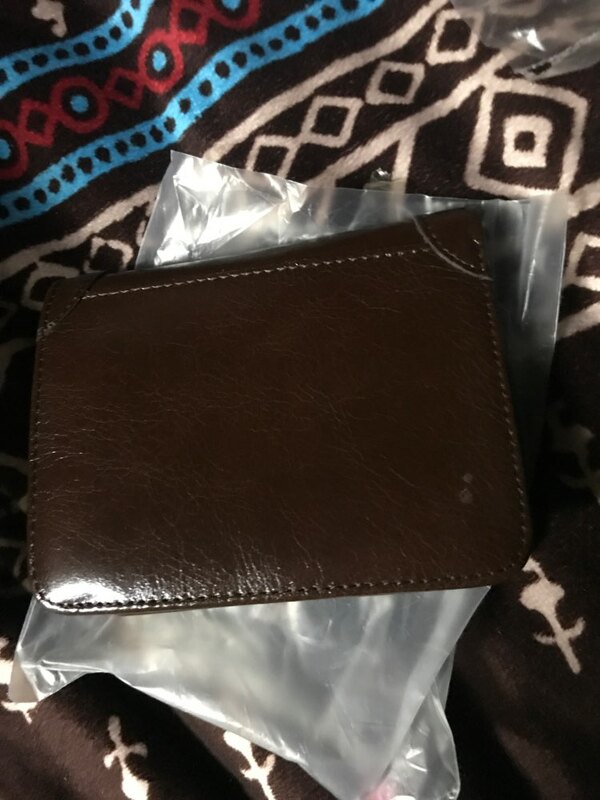 The wallet is made from genuine cow leather that has been waxed / oiled to increase resistance to rain and is lined with polyester. The wallet contains a passcard pocket, card holder, photo holder, note compartment, sim / SD card compartment, etc. The result is a fashionable yet highly durable wallet perfect for everyday use. The wallet is available in three different colours (Coffee, Black, Khaki) to suit personal preference and would make a perfect present for friends and loved ones and of course, you can always treat yourself. Кошелек на фото выглядит намного больше чем в реале. Я разочарован. У него даже нет застежки (кнопки). Места в нем ограничено.